The outrage is real. As the release of Star Wars: The Force Awakens draws nearer, the bigoted cries of #BoycottStarWarsVII keep coming. But white tears about being “marginalized” and fears of being “targeted for genocide” are nothing new. Outside of the sheer outlandishness of these claims, they point to an undying campaign of white folks trying to keep societal power and narrative control squarely in their hands. Black characters have always been a part of Star Wars, especially when you look at the prequel trilogy (how does anyone forget Billy Dee Williams’ Lando Calrissian). So the mere proposition of including another black character should neither be shocking nor offensive, much less cause for belief in a planned white genocide. But this ignorant outrage is that much more obtuse in light of the settings for these movies. Star Wars takes place in space, with spaceships traveling at light speed through hyperspace to different planets. The concept itself makes space for hundreds of different alien races. We can have people with tentacles hanging from the face and a giant talking slug but every human representation has to be white? This type of character territiorialism is nothing new. As audiences have begun to hunger for more diverse storytelling, filmmakers have started to oblige them with their film slates. We have seen this recently with Michael B. Jordan playing Johnny Storm/Human Torch in Fantastic 4. The film was a reimagining of the entire Fantastic 4 concept, but the most vocal outrage was with Johnny Storm now being black. As rumors spread about the upcoming Spiderman reboot film, many believed filmmakers would opt to explore the “black Spiderman” Miles Morales from recent comics. Donald Glover’s name was commonly linked with the project, and just as the comic book was blasted with criticism for creating a black Spiderman, the rumored film was blasted with identical claims. In the same vein, the recent Annie movie starring Quvenzhané Wallis traded a white child actress for a black one, reinventing the classic tale for today’s viewers. The important distinction to make with all three of these movies is that the “classic” version of the character was not “tarnished”. Instead, an entirely new character was created to make space for diversity, present a more realistic universe, and to have characters more people could identify with. None of these moves were attacks on white people. These films weren’t cast with all black actors and perverted with new storylines meant to incite violence against whites. These films were efforts to be inclusive of people outside of the white establishment. 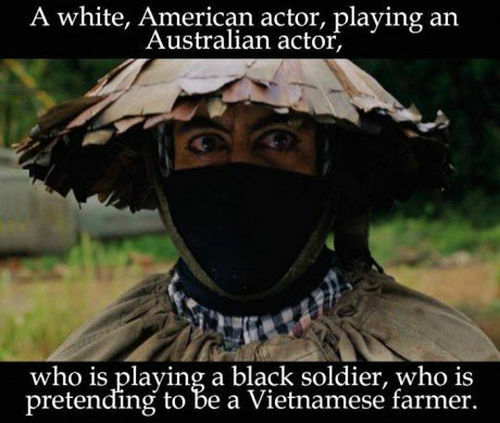 The hypocritical part of this white outrage to the growth in minority casting is their ambivalence for the long, continuing, and unrelenting practice of whitewashing in Hollywood. Yes, I said continuing. Whitewashing on the big and small screens just wasn’t for the 1950’s. Back then, white actors would play characters of any racial background through quick and dirty makeup work. Dark makeup could make you black like in Birth of a Nation. 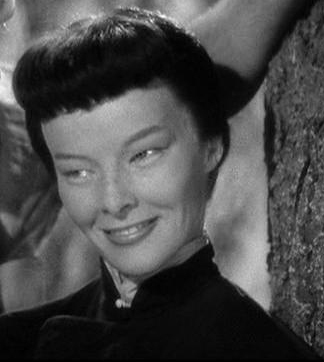 Tape your eyes to make them more narrow and suddenly you were Asian like Mickey Rooney in Breakfast at Tiffany’s or Katharine Hepburn in Dragon Seed. But modern Hollywood is above those infantile acts and has streamlined their efforts. Now, they skip the makeup but keep the white actor. Like in Aloha when Emma Stone played an Asian American woman. Or Exodus, which featured the likes of Christian Bale and Sigourney Weaver as Egyptians. And most recently, The Martian cast Mackenzie Davis, a white, blonde actress, as “Mindy Park”, a Korean American woman. See, no need for crafty makeup or even vocal affectation. Aside from all of this being categorically offensive, the real crime done here is Hollywood, an industry that is already tough for minorities to break into, is handing out roles to whites that you’d think would be held for minority actors only. But white people see the casting of black characters in films as explicit transgressions against them? As signs of a coming genocide? How did we get here? Is this just a natural course the industry has taken after decades of racist and discriminatory practices? Is this life imitating art or art imitating life? Well, it’s both. Just like Tea Party Patriots holding the entire political process hostage for the whole country, vocal whites have created a climate where diversity is viewed as dangerous. Will the audience be there? Will it be executed correctly? Will I alienate white viewers for the entire network? These are the details that executives are wrestling with. Even as shows like Empire, Blackish, Fresh Off The Boat, and the like are achieving sustained success (even breaking records), white is still seen as safe. It is still the default. It is still the norm. That’s sounds like a great way to bookend this conversation. Next story “Barbershop: The Next Cut” Official Trailer – Why Is This Happening?